Time for another ukulele rant, and another piece I have been meaning to write for some time. Why is it that people accept and buy such cheap junk ukuleles? Since when did the assumption that a musical instrument has become a bargain price impulse purchase? Why is this considered normal in so many quarters? In fact, this is also a kind of uke review but read on for that. This post was prompted by me spotting a cheap ukulele in a local shop that took my breath away... massively. 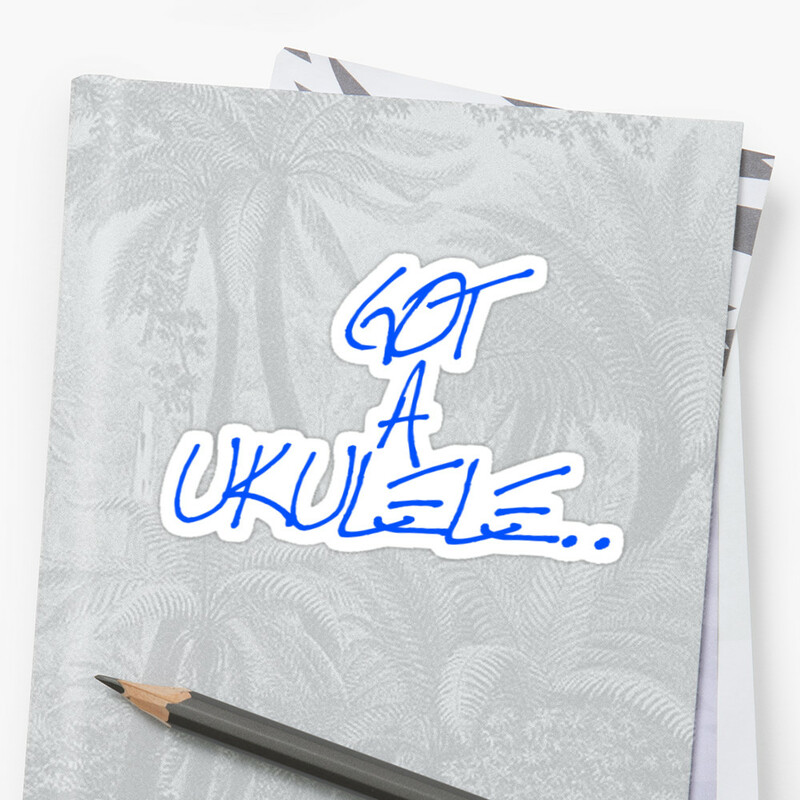 You know the sort of thing - the brightly painted, thick laminate ukes that plague eBay and unscupulous dealers who jump on the ukulele bandwagon because they see the ukulele as a 'popular' money spinner. Sadly what these sellers don't do is actually give much of a damn as to whether the ukulele they are touting is actually playable or not, and as such the market is full of instruments that could only very loosely be called 'musical instruments'. Ukulele shaped objects perhaps. A couple of points before I continue. This is not a case of instument snobbery and I appreciate that money is tight for many people. But is there really an expectation that you are going to get something that works for only £10 (or in the case of the uke I look at below, £8 or about the price of a good set of strings)?? Really? These are musical instruments! Would you expect a violin, guitar, piano, flute or whatever else for £10? 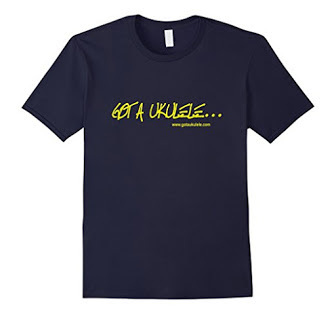 A single ukulele lesson, just a lesson, can cost you twice that! Why is the uke considered to be the cheap one in the instrument world? 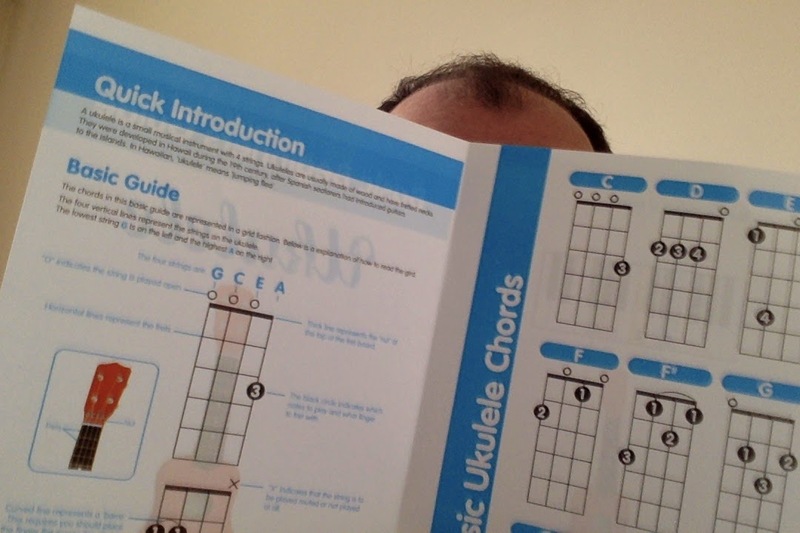 I am also writing this because I get a lot of email on the subject of 'I bought a ukulele for cheap and it won't play in tune', but also because I see a lot of beginners saying the same thing on various social media spots. I have ranted about this subject before, particularly over instruments I have reviewed such as this Mahalo which should never be considered 'intruments' in my view. So what is going on here? Well, with any boom, supply grows to meet demand, and China is the powerhouse in this regard. They are churning out instruments by the bucketload and in many cases giving little thought to the end player. I am not down on China or Chinese instruments, and they produce some fine quality ukuleles when the production is overseen by a brand that demands quality. Sadly, in other areas they are equally quite happy to knock out sub par products that find their ways into our homes in their droves. And I mean droves. That's where ones like the one in this review fit. The price at which ukuleles become basically playable is very, very subjective, but it certainly isn't at £10 or even £20... It just isn't and don't believe the hype that it is. Don't expect it because it's small and don't expect it because it's fun. Most of all, don't expect it just because you want it. For me I think they start getting good at about £100 over here in the UK, and in the £100-£300 range you can find ukes to suit all abilities. Beyond that you get some sublime instruments, and if you top over £1000 you get into the real stunners. Below £100 you 'may' (and I stress, MAY here) get something playable if you take advice, but generally speaking you will get rubbish. But there is another problem behind this. I am afraid to say that the sales of these junk ukes go hand in hand with the misconception that the ukulele is just a toy instrument, a joke, or 'just a bit of fun'. And so long as that myth remains, then these monstrosities will continue to appear in stores. It is almost as if the uke is considered a throwaway item.... Nothing serious, no harm done... Never mind whether they actually play in tune or not.. Anyway, lets take a look at this one I picked up today. AND TO BE CLEAR - THIS IS NOT JUST A PIECE ABOUT THIS PARTICULAR UKE - I AM USING THIS AS AN EXAMPLE - THERE ARE INCREASING NUMBERS OF UKES APPEARING ON THE MARKET AS BAD AS THIS ONE!!! It is a laminate bodied uke complete with a thick, glossy, garish paint finish like so many cheap ukes at this price point. Interestingly, the makers decided that gloss on the body was not enough for this little beauty and decided to paint the fingerboard in gloss black, and then detail the frets in gold paint. I have never seen anything quite like it. Paint, paint, paint, and lots of it. The bridge is a slotted type, with a saddle of plastic and is screwed to the body. Nothing massively wrong here I guess. A look at the edge of the sound hole shows that the laminate top is super thick, so volume and tone are bound to be compromised. This is probably one of the thickest I have ever seen. Bear in mind the body of a ukulele is a sound box. It's supposed to be resonant, light and snappy. Thick woods do not create resonance. Added to that, the bridge is actually set in the wrong place and on a slight angle. Critical error number one. Put the bridge in the wrong place and you will never get accurate scale length on the strings, and that means you will never get accurate play on the fretboard. Things like this matter. Greatly. It is the neck though where things then fall apart completely. Those frets are not set correctly either. Not only is the spacing somewhat random, most of them are set in the fingerboard at a slight angle and as such this instrument will NEVER play in tune. In fact the instrument would play better if they didn't bother with the frets at all! And that's all before I talk about just how hideous that black paint looks and feels on the hands. So bridge out of place, frets out of place... we already have a massive failure. The tuning is provided by some of the cheapest friction tuners I have ever seen, that use a piece of cardboard as a washer to create the friction. They were loose on arrival (which would be enough to fox any new player or child) and one was actually detached completely and rolling around in the box. I tightened them up as far as I dare without splitting the plastic and the strings (nylon by the way, and all of exactly the same gauge) just about held. To use them though is just awful. You either have these so tight that they hold the strings but make it impossible to tune them, or they are moveable but just spin backwards with any sort of string tension. So the build is horrible as I say, but the feel of that ultra thick paint is just horrid on the hands and naturally it feels far heavier than it should for a soprano. Playing it, well that high action was pretty awful, but the misplaced frets are the killer here. Tuning on the E and A strings was not too bad, but don't ever try to play a chord that uses those strings in conjunction with the G or the C string as they just won't work! The thick body woods mean that the instrument has virtually no tone or sustain to speak of and a pitiful volume too. Hardly surprising. I wanted to look deeper into this uke. Literally. So throwing my £7.99 to the wind for the sake of the good readers of this site, out came the craft knife. What I found inside was frankly revolting. Firstly the top. No real surprises here, super thick plywood with some over spray from the painting process and enormous screws holding the bridge down. Presumably that super thick paint and super thick laminate was the reason why there is no bracing.... at all... none. Looking into the body though it actually looks like someone has vomited into the uke. There seems to be more glue poured around the body than there is holding the back and top on to the sides. In fact, the top was really easy to prize off, so this uke was never going to last. It is a complete and utter mess. The tail and neck blocks look like they have been sawn off a tree that was growing outside the factory. This is what your princely sum of £7.99 gets you. Why does any of this matter? We don't play the inside of the uke. Well, it is an indication of just how shoddy the build process is from start to finish (as if that wasn't immediately obvious from the outside...). It shows that this production line couldn't care less about whose hands the 'instrument' lands in, and only cares about fleecing the buying public for what they can on the back of the popular ukulele trend. Why do I care about this one? Surely Baz, you knew this was going to be a rubbish uke? You may yourself be confident that you would never buy one of these. That is good to hear, but sadly people ARE buying them, and buying them in great quantities. The very best outcome for someone with one of these is that they have wasted their money. But the worst outcome is that somebody who wanted to give the ukulele a try would end up frustrated and totally put off because the thing is unplayable. This may be their first and last foray into the uke world. Think of the child on their birthday morning who wanted a uke and opened this box. It's very sad, and whilst there is little I can do about it, if I had my way then these things would be banned. In fact the concept of a child getting one of these really upsets me. Destroying a musical instrument relationship so early is just not on. As it is, all I can do is shout about it here and hope that people take note. And remember - it's not just Ready Ace that are guilty here. Lots of junk like this is available. This one is just indicative of the problem. If you are buying, buy from a reputable place and please remember that you get what you pay for. If you are a dealer, eBay or otherwise carrying these sort of ukes, and shipping them out without even opening the boxes, then shame on you. Have a think about what you are putting on the market and perhaps have a bit more pride rather than just ripping people off. As a final point - some people are suggesting this sort of uke is not sold as an instrument, but just as a toy or decorative piece. Sadly, that is not true - this one even came with a leaflet inside with a chord chart and a how to play and tune guide.... See below. So.. what SHOULD you buy for yourself or your kids if these are quite so bad? Well if you really don't want to / cannot afford to spend much more than twenty quid, then you really should take a look at a Makala Dolphin uke. They will need some adjustment, but are very playable and project well (I own two). They are around 30-35 pounds and I know many top end players who own them because they are fun. They really are not too bad. Or how about another favourite of mine - the Octopus Brand soprano ukulele- seriously nice for next to no money. The Lanikai LU11 or 21's are considered to be great for kids and many schools use them. I have seen some quality control issues with some, but think they sound ok too. 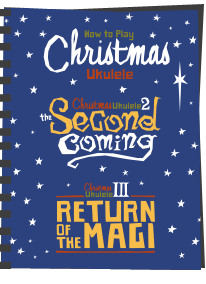 If you want to move to the £100 bracket that I suggest (and that wasn't an order in the post, just my opinion) and get a great first ukulele then I personally think it is hard to beat the Ohana SK25. Wonderful little uke that one. But I am wavering here and just listing the exceptions to the rule. If you choose to buy the cheapest ukulele you can find because you think they are naturally cheap you WILL be disappointed. I couldn't even be bothered to score this one properly. If I did, it is a firm 0 out of 10.... And very sadly, this is not the only one out there of this calibre. AND! 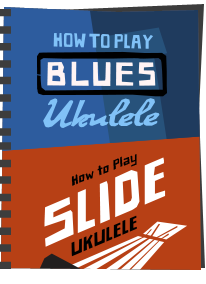 Be sure to check out my other ukulele RANTS - where I explode the many myths and bad advice that surrounds the instrument - CLICK HERE! ha ha - thanks Jim! 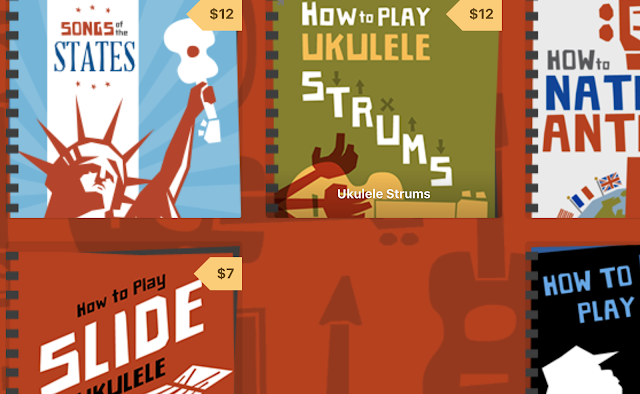 Just need to hope people looking for ukuleles are able to use a search engine to find a site like yours, ukulele underground or reddit to at least ask for where to start looking for a ukulele. The same thing happens with other instruments and with bicycles. How many people buy a $150 bike then decide that they don't like riding because they got a lousy bike. But you also don't have to be priced out of either hobby. My tenor Hora sounds nearly as nice as my Lanikai but cost me 100 lei (less than 20 pounds). Great post. Perhaps a link to a post or three about the better "inexpensive" ukuleles available? Let's keep grammas and grampas and aunties and uncles (and a few parents) finding playable instruments for the kids. I've given away a number of Makala Dolphins and Sharks, often restrung with Aquilas, with a good inexpensive tuner and a learn to play ukulele book. Only one has gone on to purchase a finer instrument... but all still play and care for their plastic backed ukes. That is a great idea Cliff - I will make an edit. I think they average person paying for a £10 isn't looking to perform in a concert hall, if they are happy with their purchase then there is no harm. The validity of an instrument is not due to its craftsmanship but merely its recognizable construction. I own ukuleles that go as cheap as £30 and i have an electric guitar that cost £15, it has no truss rod hehe, i find them a challenge to work with but they are capable of producing musical sounds. If i have a ukulele that buzzes you can bet il use that buzz in a musical context, if its a guitar with no truss rod then il bend the neck as i play. The first uke i played was a friends that cost her £15, first thing i did was start tapping on it, i saw the potential not the bad craftmanship. A lesson can be learnt from the early blues players that would nail a string to the side of a wooden shack with two bottles at either end and use it as the first version of what we recognize now as the diddlybow They produced music just as valid as a musician with a £5000 custom scientifically-engineered perfect-intonation instrument. I always say that i work toward a time when i am able to master one string, a musicians true talent is shown when they are confronted with limitations not when they feel musically safe. I known so so many musicians whom would be lost if you merely removed one string from their instrument. Someone whom plays a stringed instrument should be able to pick up any stringed instrument , any tuning and be able to create music, a skill often repressed by scales and chordal theory, forgetting the true essence of the music. I think you are missing my point a little. I have no issue with cheaper ukes, and own several. I do have an issue with a uke where the frets are misplaced and the bridge is wrong, or a uke I had where the neck was set in such a way that it was impossible to string without the strings bottoming on the first fret (unless) I raised the nut to about 1cm high... These are sold to unwitting new players, and particularly children as instruments and are capable of putting them off. There were terrible ukulele-shaped things for sale 20 years ago, then marketed as 'souvenirs' or 'props' rather than 'toys'. Price and quality were at the same low point. It isn't new, but the scale is. Ask any music teacher about the awful new instruments their pupils bring along, and everyone will answer: classical guitars, trumpets, flutes and even accordeons (which have unusually high starting prices). That's hard discounting for you, and relatively new. Hard discounting supermarkets have discovered that they can sell shiny instrument-shaped objects for less than a day's wages, and that's something new. And perhaps worth a rant: are those lidl-offers cheap stepping stones to good instruments (or bicycles, or fishing equipment, or whatever hobby you'd like to start), or are they impassable hurdles? What has also changed, is that there now are cheap beginner's instruments available, in the Makala/Aloha/Korala league. - anything with a much higher pricetag, all of it better sounding, easier to play or much fancier to look at: it had almost dissappeared in the 1990s, but came back with a force since the millenium turn. An excellent article, Barry - thanks. My husband Fred (C. F. Casey Guitars) starts his ukes at $550 Cdn. They're worth every penny. But so many people are shocked, thinking - as you stated - that because it's small, it should be cheap. They don't realize that the same skills that go into building a guitar go into building an `ukulele. It's gotten to the point where, if someone says to me after I've explained this, "But why should I pay $550.00 for one of your ukes when I can get one in Walmart for $30?" I just smile and say, "I think that a Walmart uke would be perfect for you." I think this is a great review, but I do think people need to take into consideration the benefits of cheap ukuleles, I recently bought a cheap uke off eBay for around £20 as a complete novice I wanted something affordable that I coud throw away if I thought it wasn't for me, I simply wanted to have a feel for the size of a uke and have a go at some basic chords. Luckily for me I believe that the uke I purchased isn't all that bad, granted it doesn't stay in tune for very long but hey ho. This cheap uke has really helped me decide that I want to continue to learn and am looking for a higher end uke for this, people aren't completely brain dead if you buy an instrument for £8 no ones going to be expecting amazing results, but surely a child getting a cheap uke and strumming away on it because they don't know the difference between a 'good' and a 'bad' ukulele is better than them not having one at all right? Evie - Sorry but I cannot agree with any of that. The post above covers it really, but here is the main thing. 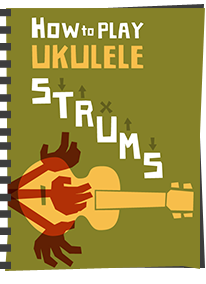 There ARE good cheap ukes out there (check out the Octopus Soprano reviewed on this site). They DO exist. It's just that the vast majority are terrible. So why are others doing so badly? You say that you believe that the uke you have isn't all that bad, but then immediately say that it doesnt stay in tune long. In which case it fails as a musical instrument. Buy with an informed choice, read up on reviews and cheap AND reliable can be found - what bothers me is the huge number of terrible ukes. I would never put one in the hands of a child - what a perfect way to put them off for life. Buy cheap, buy twice, you say? I've just purchased my third uke (the aforementioned Octopus), with the other two being more or less unplayable. My reason for having a uke was purely as something small and portable, that I can noodle away on where it's impractical to take a full sized guitar. I had no real ambitions to perform or even record with it. My first was a nameless thing that I bought for a fiver from a lad at college. It had a nice looking grain on the top, but had frictionless friction pegs and intonation that was so far out it was never clear which fret was actually the 12th. I learned the chord shapes, but it always sounded awful, and when a string broke (which meant two strings broke, as it was just one string wrapped under the bridge) it went in a cupboard and never came out. I must have mentioned that I was considering getting another one, as a friend bought me one for Christmas. To my ignorant eyes it looked pretty impressive, with it's padded mock-leather bag, glossy, glossy black finish (it was like, how much more black could it be? And the answer was none, none more black), postcard of an attractive bikini clad woman on a beach, and a body shape usually associated with Freddy King or Randy Rhoads. Maybe it's my heavy fretting hand? Maybe it's those tuning pegs and I should replace them with geared tuners? Nope. Despite going back to it again and again, I just couldn't get it to sound pleasant. A quick bit of Googling last month, and it seems that there's a unanimously agreed reason why my Mahalo Vkulele wasn't emitting the sweet sounds I'd hoped for. Speaking of small musical instruments that are anything but cheap... try looking up grenadilla wood piccolos. A cheap one will set you back over CAN$2,000, and you don't even want to know what the expensive ones cost. I am a beginner with a cheap ukulele, but in my case it was cheap because it was old, battered, had no strings and needed minor repairs I could do myself. I also think the thrift store may have mistaken it for a toy guitar. It seems fairly decent so far, and it is certainly better than the one in your post. That one is truly horrific. Piccolo was my first thought when I read that line about small /= cheap. Followed by recorders. Quality wood recorders run a few hundred bucks but most think only of the $5 plastic things schools use. 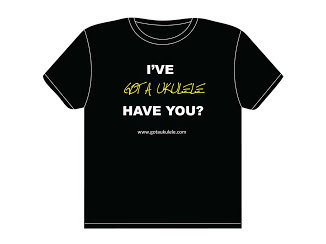 As a hopeless "ukaholic" I would recommend, that when buying a uke, take someone, not unlike myself, with you to avoid the pitfalls! or pay mega bucks! Music shops on the whole seem to be quite happy to stock inferior ones. I rejected 4 models before I found a tenor I considered good value! (£45 new) Very happy! Me? 30 yrs in the trade! One good thing about these crappy ukes. It makes us glad to play ours! Please tell me you burned this one! Considered burning it Larry - but the thought of the toxic fumes from that thick paint scared me! Ironically, my parents had bought me a cheap, albeit not completely a toy, uke when I was a kid. I never really played it, but it's that memory that made me choose this instrument 20yrs later. And also the price. In my opinion decent ukuleles are generally pretty inexpensive compared to a lot of instruments. I wouldn't bet much on a 300€ violin, and my brother who plays the bagpipes told me the usual price range for a decent instrument is around 1000€..